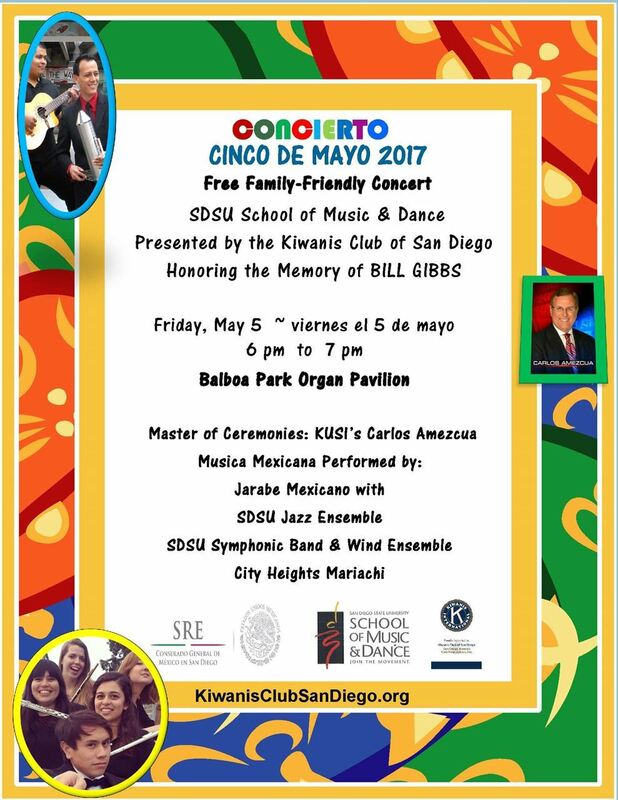 Kiwanis Club of San Diego - Cinco de Mayo Concert in the Park! Cinco de Mayo Concert in the Park! The Kiwanis Club of San Diego has sponsored the annual Concert in the Park featuring students from SDSU School of Music and Dance for more than 30 years. This concert lets us help deserving and talented students.